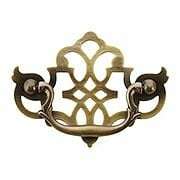 The Ginkgo wall sconce is a classic example of less is more. This simple design features a fan of wrought-iron ginkgo leaves finished in a captivating antique-gold finish, and its crisp, off-white shantung shade adds modern flair. 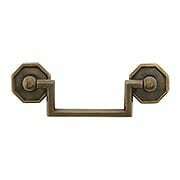 Versatile and low profile, it's ideal for lining a hallway, or illuminating other high-traffic areas. ADA compliant. 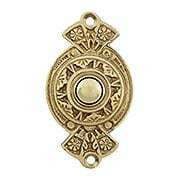 Our Oriental-Style Doorbell Button features bold geometric markings surrounded by delightful floral patterns. 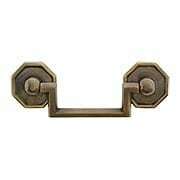 Its circa 1870's Japanese-inspired Eastlake design is reproduced in solid, cast brass for elegant detail. Choose from three popular finish options. 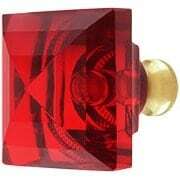 Add a pop of color to your cabinets or furniture with this ruby-red square knob. The combination of facets and a knurled pattern at the base creates a sparkly pattern reminiscent of your favorite gem. 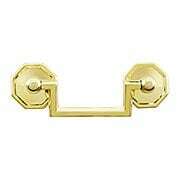 Made of lead-free German crystal and a solid-brass base, it comes in an array of our most popular finishes. 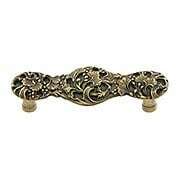 The Bamboo Pull brings an organic, yet stylish accent to your decor. 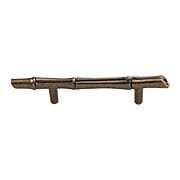 Resembling a bamboo shoot, this lifelike interpretation complements rustic decor in an outdoor themed home or cabin. Choose from a variety of unique finishes. 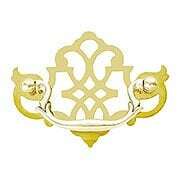 This captivating figural sconce is a fine example of 18th century Chinoiserie style. At the center, surrounded by lush natural ornament, is a charming Chinese man smoking a pipe. 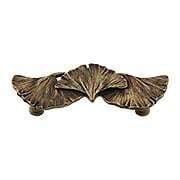 Featuring antiqued candle sleeves and a rich, gold finish, this sconce is a lovely addition to your dining or living room. 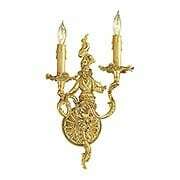 This captivating figural sconce is a fine example of 18th century Chinoiserie style. At the center, surrounded by lush natural ornament, is a charming Chinese woman holding a fan. 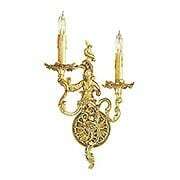 Featuring antiqued candle sleeves and a rich, gold finish, this sconce is a lovely addition to your dining or living room. 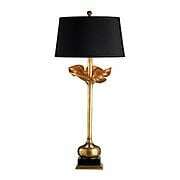 The Antidote lamp is surely a cure for dull décor! 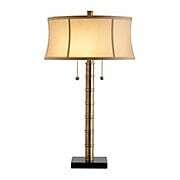 The bamboo base and drum shade give it a mid-century vibe, while the dual pull chain sockets add a vintage flair. 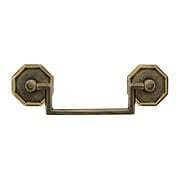 Finished in antique brass with a black marble base, it's at home in traditional or modern spaces. 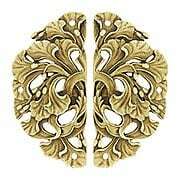 The Ginkgo Leaf Pull is a classic example of less is more. 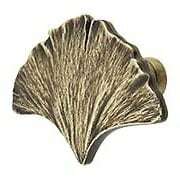 This simple design of exceptionally detailed ginkgo leaves is made from cast pewter, then hand-finished, showcasing its elegant motif. 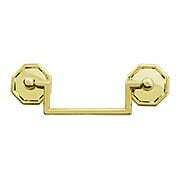 Versatile and low-profile, it is ideal for a variety of interiors. Handcrafted in the USA. 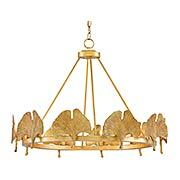 The Ginkgo 10-Light Chandelier is a nod to the classic Chinese tree. 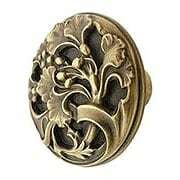 Its simple design features a ring of wrought-iron ginkgo leaves finished in a captivating antique-gold finish. 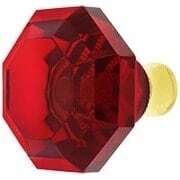 Add a pop of color to your cabinets or furniture with this ruby-red octagonal knob. The combination of facets and a knurled pattern at the base creates a sparkly pattern reminiscent of your favorite gem. 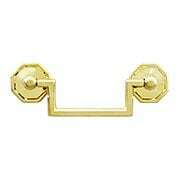 Made of lead-free German crystal and a solid-brass base, it comes in an array of our most popular finishes. The Vista Collection brings Old New-England charm to your exterior. 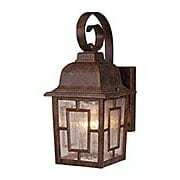 This wall sconce features a domed roof, topped with a delightful finial, and water glass encased in a Chippendale geometric grid. 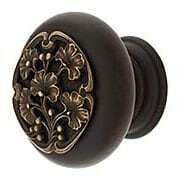 Crafted from weather-resistant aluminum, it comes in our choice of a rustic bronze or lightly textured black finish. The sweet charm of the Whimsy receives a stunning hand finish in antique white crackle. 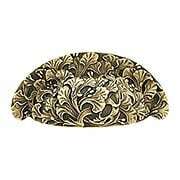 With a brass stem and cream silk shade, these turtles will soon become the centerpiece of any classical interior. 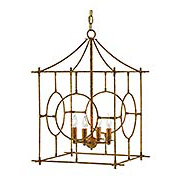 The Lynworth Lantern-Style Pendant is reminiscent of a Chinese bird cage. Clean, straight lines form its traditional look while circle openings showcase four candle lights. 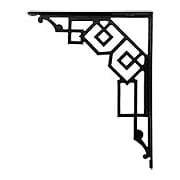 Its wrought-iron construction features a heavily textured silver-leaf finish with flecks of iron still visible for a hand-applied look. Prompting childhood memories of carnivals and games, the Carousel Pendant's airy silhouette and playful lollipop red finish is pure fun. 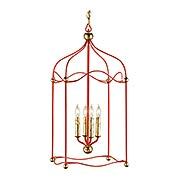 The delicate wrought-iron frame is accented with a gold leaf finish giving it an extra pop of color. 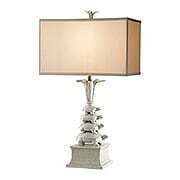 It adds a whimsical flair to your dining room, living room, or foyer.